Home / Fleet Management / Does diesel fuel have a future in the materials handling industry? As electric forklift trucks continue to increase their share of the materials handling market and interest in renewable energy grows, is diesel power heading towards extinction? According to Mark Nicholson there is good reason to believe that diesel will always be part of the world’s overall energy mix. For many applications a diesel lift truck is a better choice than a battery powered alternative, and you may be surprised to learn that in some cases diesel actually offers greater environmental sustainability than electric. In an area where electricity generated by solar, wind, hydro or other renewable energy sources is not available, the total emissions resulting from use of an electric truck are greater than those from a diesel. The electric truck itself is non-polluting but you have to consider the amount of coal, gas or oil burnt to generate the electricity that charges its battery. Bear in mind, too, that converting energy from one form into another is wasteful. When the energy in fossil fuels is converted into electrical energy, much of it is lost in the form of heat. When current electricity is converted to static electricity in the battery there are similar losses. By contrast, diesel powers an engine directly. The same arguments apply to trucks powered by hydrogen fuel cells, as electricity is needed to produce the hydrogen. The structure of industrial diesel engines is extremely robust and the fact that they are designed to work at low revs makes them even less vulnerable to wear. Owners can expect a diesel truck to have a long life, to require minimal maintenance and to retain a good residual value. This makes economic sense and is also good for the environment, as it reduces the amount of raw materials consumed and the necessity for waste disposal. 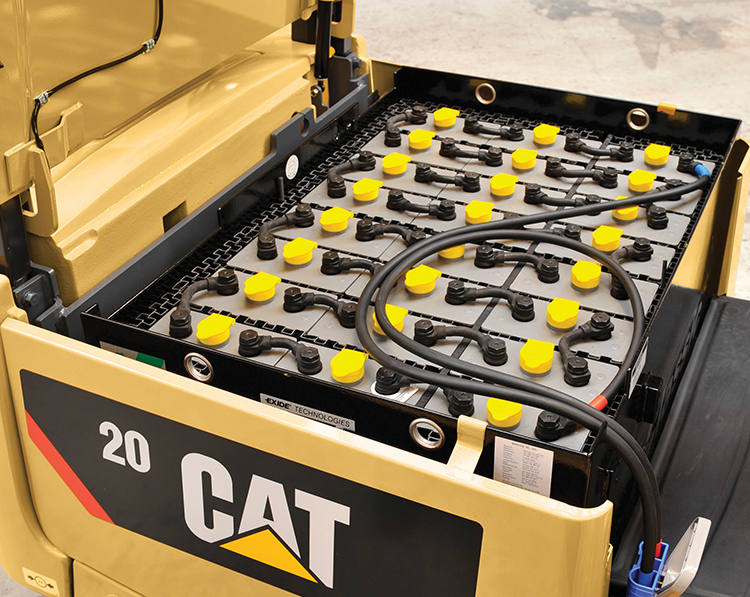 Battery power is ideal for many applications - but not all. The power of a diesel forklift is constantly ready to use, allowing 24/7 operation with just a few minutes of downtime if a fuel top-up is needed. A diesel truck usually offers more powerful performance than a comparable electric truck, giving higher torque, gradeability, acceleration and lift speed. For the heaviest loads, diesel power is usually indispensable. The power of a diesel forklift is constantly ready to use, allowing 24/7 operation with just a few minutes of downtime if a fuel top-up is needed. Battery powered trucks require regular battery changes and a carefully planned recharging regime. Low battery levels can prevent electric truck operators from using high-powered attachments but a diesel truck is fully operational as long as there is even a small amount of fuel in the tank. Think, for example, of a construction site before the mains electricity supply has been extended to reach it. Keeping an electric truck supplied with recharged batteries is difficult in those circumstances but fuel for a diesel forklift is relatively easy to transport to wherever it is needed. Diesel trucks cost considerably less to buy than electrics, so they will remain a popular choice for any business that needs to minimise capital investment. These trap particles from the exhaust and burn them off. By using a smaller and more efficient turbocharged engine, delivering the same performance as larger, less advanced units, fuel consumption is reduced and therefore emissions are reduced too. An SCR system uses a catalyst such as urea or Diesel Exhaust Fluid (DEF) to reduce NOx emissions. This approach is based on an oxidation process that uses a catalyst to convert some of the emissions into water and other relatively harmless substances. In EGR, oxygen is diluted in the combustion chamber by mixing the intake air with cooled exhaust gas. This lowers the peak temperature of combustion, which in turn means less NOx is produced. Lowering the temperature increases the particulate content of the exhaust, which is captured by a DPF. Increasingly strict exhaust emission regulations... are driving manufacturers to make engines cleaner and more efficient. The main argument against diesel relates to emissions. Burning diesel, like any other fossil fuel, produces carbon dioxide and contributes to climate change. Diesel combustion also releases particulates and other pollutants which are damaging to human health. In the UK alone, it is estimated that around 5,000 premature deaths each year are related to exhaust emissions from combustion engines. It should also be remembered that the earth does not have an endless supply of fossil fuel, so we need to conserve it. Thankfully there is much we can do to make diesel engines emit less pollution and consume less fuel. Increasingly strict exhaust emission regulations, in the EU and the United States in particular, are driving manufacturers to make engines cleaner and more efficient. Since 1996 the EU has been implementing new limits in a series of stages. These specify the acceptable levels of nitrogen oxides (NOx), hydrocarbons (HC), carbon monoxide (CO) and – in the case of diesel engines – particulate matter (PM) from Non-Road Mobile Machinery (NRMM). When we talk about particulate matter we refer mainly to soot particles but PM also includes oil residues. If you really want to know all the details you can look at Directive 97/68/EC and its various later amendments. Most recently you will have seen references to the EU Stage IIIB emission regulations in forklift product literature, or the equivalent Tier 4 Interim when looking at American products. Provided you deal with responsible suppliers, such as Cat® Lift Trucks and its dealers, you need have no worries over complying with the rules. A schedule for necessary replacement of engines is in place and there is a flexibility scheme allowing for sale of existing stocks with Stage IIIA engines. Any truck bought before the introduction of Stage IIIB, or during the period of the flexibility scheme, can be legally operated without modification. Advanced diesel technology delivers the high power you expect, but with lower fuel consumption and emissions. 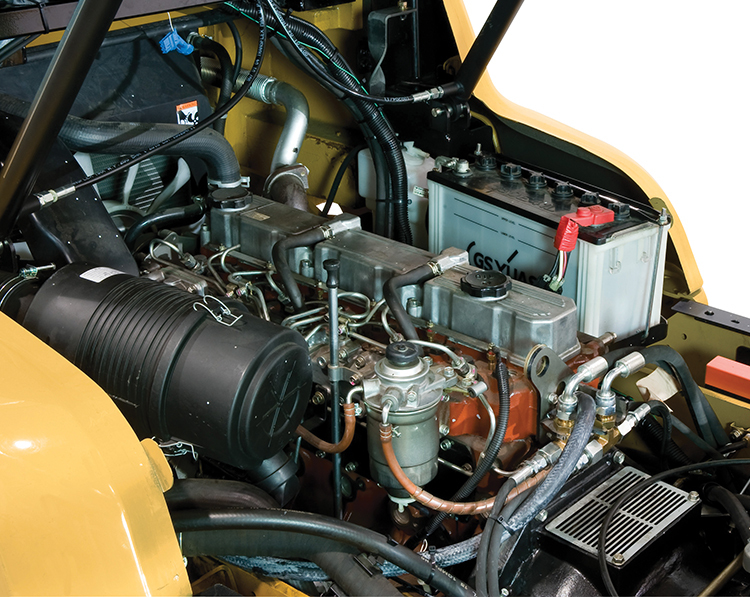 In upgrading its diesel counterbalance trucks to meet EU Stage IIIB requirements Cat Lift Trucks has focused on using fuel-efficient turbocharged engines and the latest in DPF technology. For the popular DP40-55N 4.0 to 5.5 tonne range an innovative Perkins 4-cylinder 854F unit has been chosen. This has a capacity of 3.4 litres but delivers the kind of performance you would normally expect from a 5.0 litre engine. The result is a truck whose class-leading power density is matched with high fuel efficiency and low emissions. Its robust, metallic DPF features passive regeneration, which means that the soot collected is burnt off while the truck is operating rather than requiring downtime. This DPF is also maintenance-free. Biodiesel – a renewable fuel derived from vegetable oils and sometimes from used cooking oil or animal fat – is now commonly blended with diesel in Europe. In fact diesel engines can be modified to use 100% biodiesel. As well as reducing our reliance on fossil fuels it offers a reduction in harmful exhaust emissions. In the transport sector, the EU is aiming to increase the proportion of renewables in fuel to 10% by 2020. On the downside, growing, transporting and processing crops for biodiesel can involve heavy fuel consumption and emissions by machinery. There is also a risk of producers destroying vital food-growing areas and habitats to make space for fuel crops. 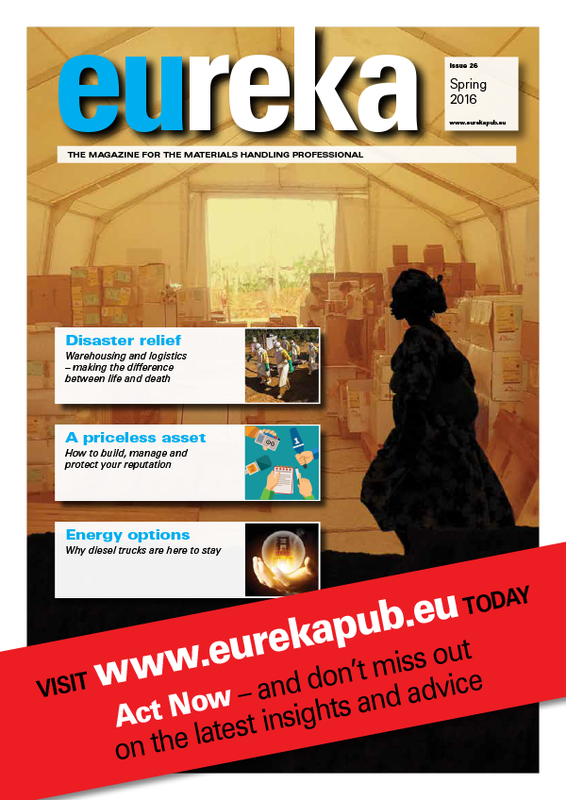 Lastly, we must address the vulnerability of biodiesel to contamination (see eureka 24). But whatever problems we face, whether in producing fuel or lowering emissions, the progress achieved to date should give us confidence that answers will be found and that diesel still has much to offer our industry.